B. Thomas (Arlington, Texas, United States) on 27 March 2015 in Sport & Recreation. 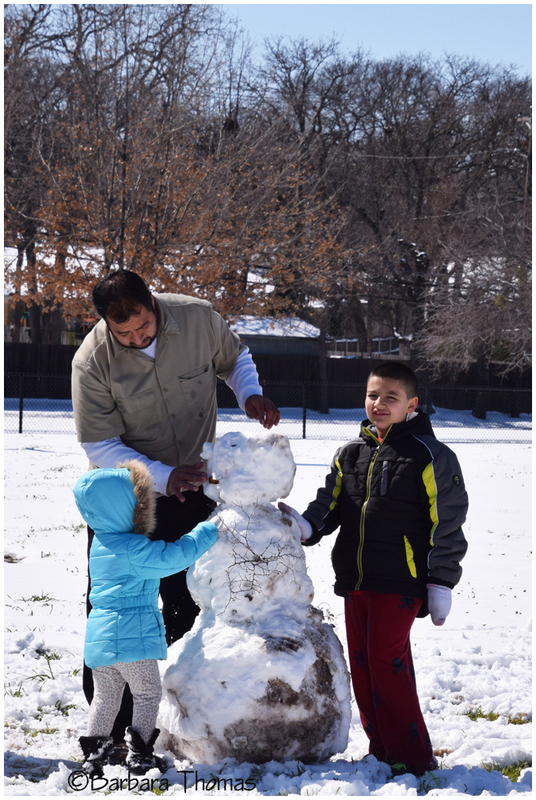 On my snow day walk in the park I saw this family making a snowman, even though there was not quiet enough snow. It was a rare treat for kids in our area to have any snow at all to play in. LOVELY family portrait enjoying the snow..
What a beautiful shot B !!! All credit to them for making the most of what snow there was - and they did well, too ! Snowman are build the world over A nice happy image Barbara.